Definition at line 26 of file XCoreTargetMachine.h. Definition at line 45 of file XCoreTargetMachine.cpp. 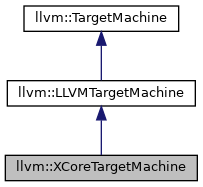 References llvm::LLVMTargetMachine::initAsmInfo(), llvm::SystemZISD::TM, and ~XCoreTargetMachine(). Definition at line 82 of file XCoreTargetMachine.cpp. 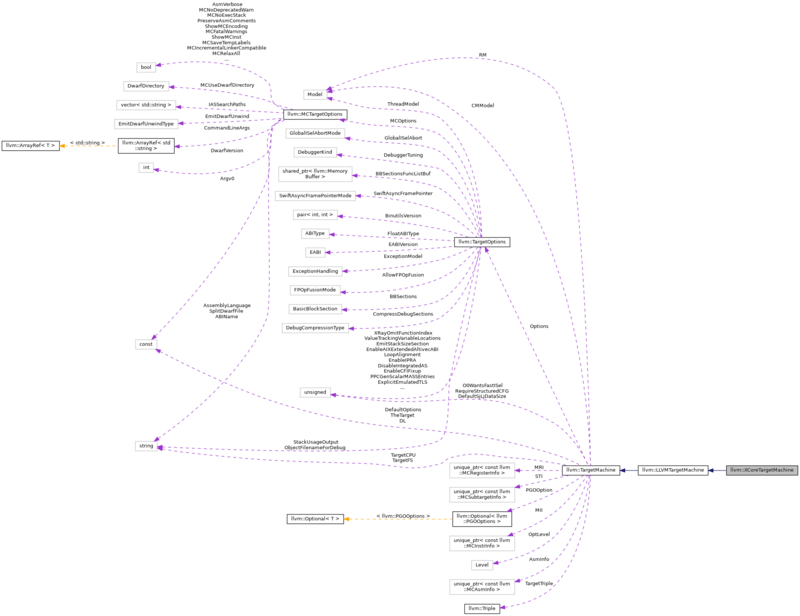 References llvm::TargetPassConfig::addIRPasses(), llvm::createAtomicExpandPass(), llvm::createXCoreFrameToArgsOffsetEliminationPass(), llvm::createXCoreISelDag(), llvm::createXCoreLowerThreadLocalPass(), and llvm::TargetMachine::getOptLevel(). Definition at line 47 of file XCoreTargetMachine.h. Definition at line 37 of file XCoreTargetMachine.h. Definition at line 38 of file XCoreTargetMachine.h. References createPassConfig(), F(), and getTargetTransformInfo(). Definition at line 112 of file XCoreTargetMachine.cpp.